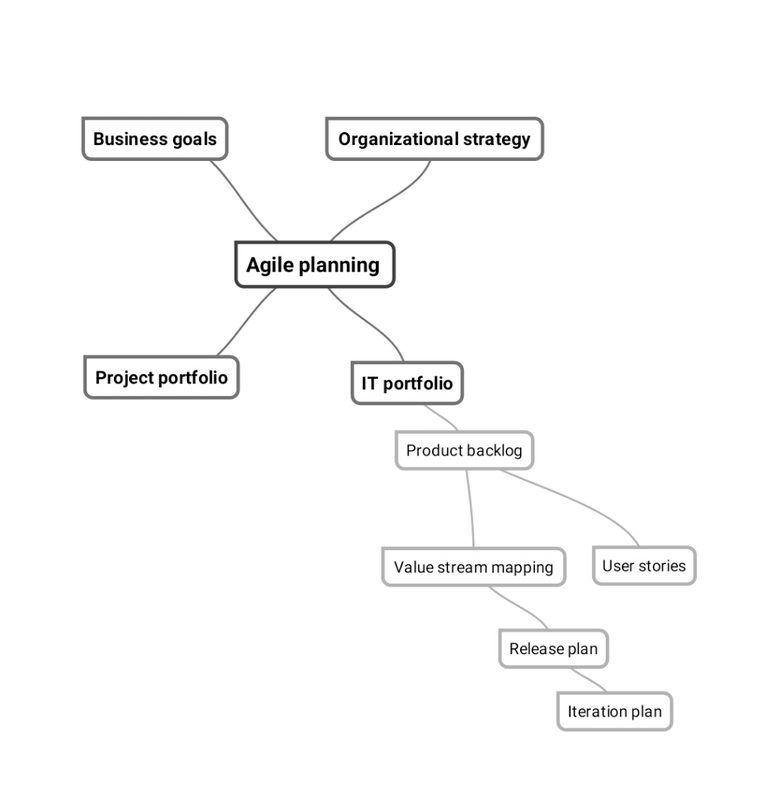 Agile is about maximizing value to the customer by delivering great functionality at a reasonable cost, that helps him to win at his market. It is about helping him to serve his customers better. Gone are the days when the business analysts used to just note down what the end users asked from the system, and transferred them to the development team without any value addition. This shift in focus from conformance to requirements to maximizing value to the customer’s business opens up a plethora of opportunities for the competent and qualified business analyst. 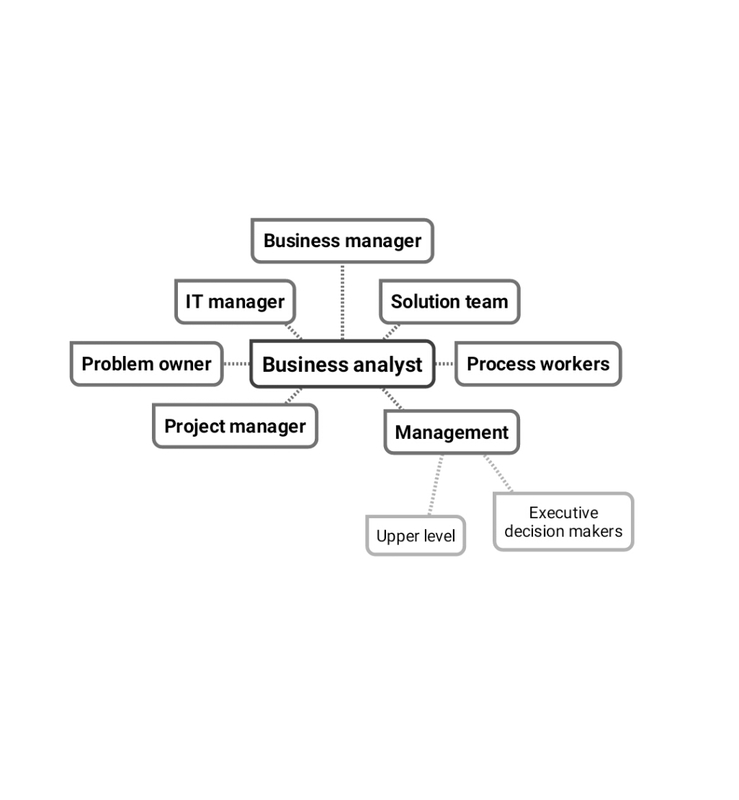 The mind map provided below depicts the ‘business analyst’ at the center of the stakeholder map. Development team is not the differentiation to the customer’s business any more. It is the availability of great business analysts who can identify those killer functionality, that will differentiate his organization from the competition is the key to value maximization. It will even better if those great functionality articulated by the business analyst can move the organization from the bleeding red oceans to the blue oceans. Are they live classes or record and play or is it live classes with a facility to record and play. Can it be just a slide show with voice, or should it be slideshow and instructor video side by side in a automatically synchronized fashion. This list can be quite a lot, and as an engineer I need clarity on these, else I will not be able to estimate the work involved. These are the first cut of clarifications required. During development I may have more functional / technical questions. The description of the feature to be developed in detail, in a non technical language. The conversations section captures the questions and answers that arises during the sprint planning meeting and throughout the development process. Acceptance criteria – This section provides the acceptance tests, which will be run during the sprint review. These are defined upfront and documented, so that the engineer can proactively work to on the code, to ensure acceptance. It is quite possible that a feature is accomplished with the help of multiple user stories. There can be a 1 to many kind of a relationship between the feature and the user stories. A user story must be something which can be declared as done, 1 to 3 days time. Larger user stories in smaller sprints reduces the benefits of ‘fail fast is success’ mantra of agile. Writing the user stories upfront may appear to be a herculean task for the product owner. Here lies the great opportunity to include the development team also into story prioritization and development by conducting story writing workshops. This has the added benefit of functional knowledge transfer to the team in advance. I am yet to see projects where the entire user stories are written prior to the start of development. Here lies the benefits of Value stream mapping, release planning and sprint themes. In engineering, what you get is what you ask. Investing time and energy to develop clear cut user stories is key to success in the agile world. The value of well documented user stories to ensure conformance to requirements is even higher. It acts as a medium of communication about the functionality across stakeholders. That is a good investment one can make to ensure success of your product. I’m Not a Servant – I’m a Host! A New Metaphor for Leadership in Agile? I’m Not a Servant – I’m a Host! A New Metaphor for Leadership in Agile?. First break all the rules by Marcus Buckingham is one book which transformed me and thousands of managers worldwide into effective leaders ( servant leader) by providing those 12 great questions, as a road map.. Introduction to the concepts of this research based book, which is written after interviewing more than 30,000 managers worldwide, gave me an actionable road map to transform my managerial style from autocratic to servant leadership. I recommend this book to all managers, especially those who work as Scrum Masters, would be scrum masters. Movement from the traditional managerial style of ‘leading from the front’ to the ‘leading from behind’ style that is required to be effective in self organizing teams, could be tricky and painful, till we understand the true spirit of servant leadership. That is where this book helps. Life is easy, once you master the style which worked for great managers worldwide. Once you master that style, you can manage any good team in this world effectively and with much lesser effort. Get a copy for yourself as a reference book and try to score high on those 12 questions from your team. Once you start scoring between 3-5, see the difference you have made to the team and to yourself. Trust, this helps. What is the organizational strategy for growth? Every CIO and the business analysis group must understand their business goals and the organization’s strategy for achieving the business goals, so that they get the larger picture which will trigger thought. What are all the projects the organization is performing to support the strategy for growth? A peek into organization’s project portfolio management system (You are lucky, if there exists one, else treat it as an opportunity to attempt one) will provide you with the necessary details of all the key projects the organization is embarking on and the rationale behind them. This is a great input to identify the information technology component vital for making these projects successful. What is the Information technology’s role / potential to make these organizational (functional) projects maximize their contribution to the achievement of the stated business goals?. Develop the I.T project portfolio. These may seem like a hill of impediments, when we look at these aspects after starting the I.T project, and at the same time these steps are not that difficult for the CIO and the Business analysts to implement. In fact these are great enablers for them to open meaningful dialogues with the functional managers and the senior management. Doing this much proactively will help in maximizing the value by aligning the product backlog, user stories to the organizational strategy for growth and by identifying truly agile vendors who believes in partnering with their clients to create win-win situations. Are your stories ready CXO?